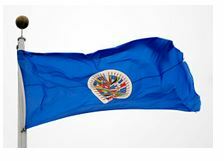 International Telecommunications Union (ITU) Region 2 member countries have decided to submit an Inter-American Proposal (IAP) to the ITU that favors allocating a portion of the C-band spectrum to the International Mobile Telecommunications (IMT) industry. The decision occurred during the final Inter-American Telecommunication Commission (CITEL) meeting in Ottawa, held from Aug. 17 to 21, where countries from North America, South America and the Caribbean met to prepare for the World Radiocommunication Conference (WRC-15) in November. The minimum threshold for an IAP is six supporters, which the C-band proposal comfortably passed. Bude said that support was given by individual countries and not as groups, though some tropical countries banded together in favor of not proposing 3.4 to 3.6 GHz is given to the IMT industry. The IAP will now be considered at WRC-15 in Geneva, Switzerland. C-band, which consists of 3.4 to 4.2 GHz, is used by the satellite industry for a myriad of services and is favored for its robustness compared to other spectrum. As WRC-15 looms closer, the satellite industry has been preparing for a battle with the IMT industry, which is looking for more spectrum for mobile services. “The conference itself will take the decision to modify or not the Allocation Table. If the modification is approved then each country will decide about the implementation, or not, of IMT in this frequency band, or to maintain the actual status,” said Bude. That tropical nations were more in favor of a no change position is telling, as satellite operators favor C-band particularly for its resistance to rain fade. Other frequencies are more susceptible to attenuation from weather. Bude said it is possible, based on the outcome at WRC-15, that as nations pick their stance, it could cause interference issues, but hesitated to make a judgment call yet. “The potential negative impact could appear at the border of the territory if neighbor countries decide to use the same frequency band for a different service and then the coordination procedure must be applied. Nevertheless I think it is a bit early to be conclusive about negative or positive impacts either for the satellite industry or for the mobile industry,” he cautioned. The decisions made at WRC-15 will influence the satellite industry significantly, and Latin America, part of the ITU’s Region 2, will be a major interest. More satellite capacity is planned for this region of the world than anywhere else at this current time. The mobile industry praised many of the outcomes of CITEL’s Ottawa meeting. In an Aug. 25 press release, John Giusti, deputy chief regulatory officer of the GSM Association (GSMA), highlighted decisions on C-band, as well as L-band and sub-700 MHz Ultra-High-Frequency (UHF) spectrum. Bude said CITEL will also propose several future agenda items relating to the satellite industry at WRC-15. Among them is the study of additional spectrum for Fixed Satellite Services (FSS) in 32.3 to 33 GHz, paired with 37.5 to 39.5 GHz. CITEL is also proposing an update that would reduce the orbital separation between FSS and Broadcast Satellite Systems (BSS) serving in different regions, and to permit mobile platforms to operate with geostationary satellites in Ka-band, along with several other regulatory issues. “WRC-15 will not only address the various satellite bands under consideration in agenda item 1.1, but will also deal with additional spectrum needs for the satellite industry and possible additional IMT identifications above 6 GHz. The latter issue can open up to IMT (5G) additional bands used by satellite systems. The industry continues to work together and with our various customer sets to educate regulators about the significant contributions that satellite communications bring to communities around the world and the role the industry plays in the connected society,” added de Dios. Bude said that, from his point of view, WRC-15 will be more complicated than the one held in 2012, and will likely harken back to WRC-2007. He expects both the satellite and IMT industries will continue to vie for their desired outcomes over the next three months. “The final decision about this topic will be made in Geneva probably by the end of the conference. In the mean time, I’m pretty sure the IMT community will push to have as much spectrum as they can and, at the same time, the satellite community will push to keep the bands, without any constraints to deploy satellite services without harmful interferences,” he said.